What are the qualities of a dividend stock that make it a top candidate for your Tax-Free Savings Account (TFSA)? In my opinion, it should be a company that has a strong stream of recurring revenue, a durable competitive advantage, and a robust capital-return program for its investors. These three traits will help you to make growing income from your investment and reduce income volatility in your portfolio. 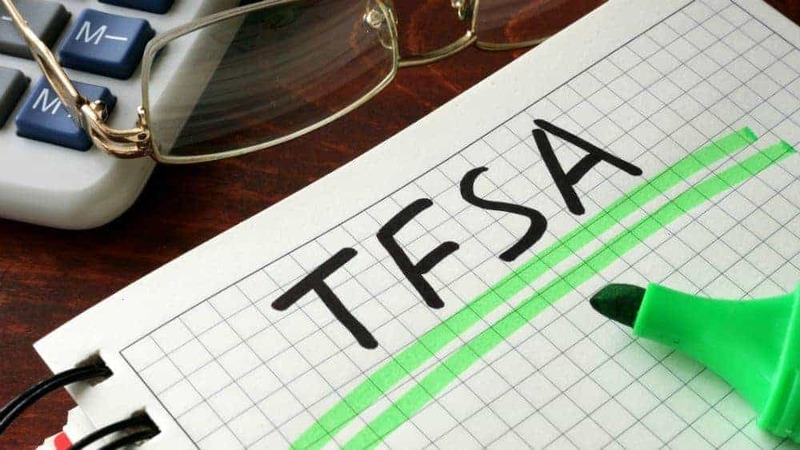 Today, I have picked two such stocks that you can consider adding to your TFSA, as they meet many criteria that make a long-term buy-and-hold investment. Canada’s telecom companies have a great appeal for TFSA investors. Their biggest strength is that they operate in an oligopoly where each operator has a big enough share of the pie to generate strong cash flows. Among Canada’s three top telecom companies, Telus offers an attractive opportunity to earn dividend income and benefit from the company’s growth potential. Telus has a rock-solid dividend program. Its payout is growing regularly, helping investors to build their savings. After announcing about 8% hike in its payout last year, Telus now pays $0.545 per share quarterly dividend. The operator is targeting 7-10% growth in its dividend each year. In my view, Telus is in a much better position to grow its dividend going forward when compared to other operators, largely because the company has already invested heavily to improve its infrastructure. Just like Telus, the power and gas utility Fortis provides another solid dividend stream to TFSA investors. St. John’s-based Fortis has a diversified asset base, providing electricity and gas to 3.2 million customers in the U.S., Canada, and the Caribbean. If you’re buying Fortis stock for income growth, it’s one of the best stocks among the Canadian utilities. With a 3.64% dividend yield and about 6% expected growth in its annual dividend payouts through 2021, Fortis no doubt is a strong name to own. Between 2006 and 2019, Fortis’s annual distribution increased from $0.67 to $1.80 a share annually, which is very impressive track record of rewarding investors. With growing dividends, investors also need stability in their returns, and Fortis hasn’t done badly on this metric either. The company has increased its dividend payout for 45 consecutive years — a record very few companies can maintain. Telus and Fortis are two examples from Canada’s utility space to earn steadily growing income stream within your TFSA. Their strong revenue streams and growth potential make them ideal candidates for long-term investors.